This Citroen Berlingo Multispace Flair BlueHDi S&S 6sp 120 Manual Diesel 1.6 has been converted by McElmeel Mobility Services to make it fully wheelchair accessible. 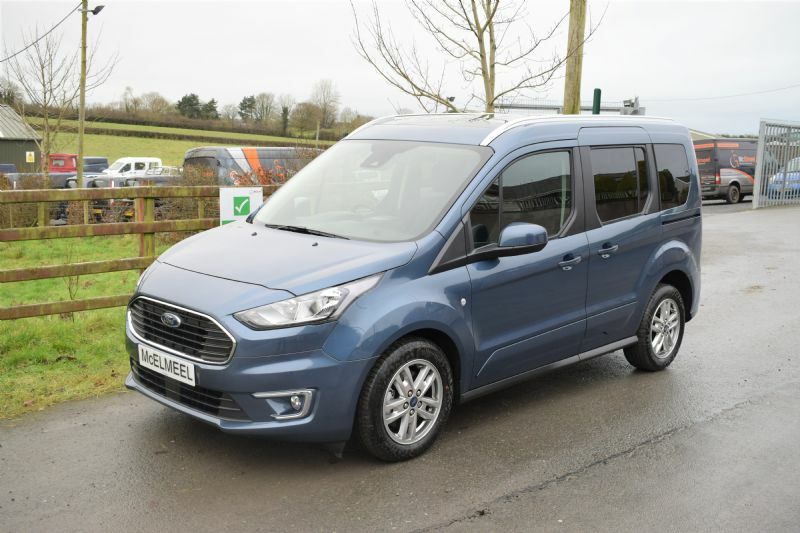 Compact yet surprisingly spacious, this excellent small family WAV is equipped with Bluetooth, Air Conditioning, cruise control, longitudinal roof bars, 7" touchscreen, usb socket, steering mounted controls and 16" alloy wheels. Coming with two front and one rear seat as standard, an additional rear seat may be added, depending on wheelchair dimensions. Available from £17,980.00. Price includes delivery and first registration. VAT not included in price. VAT is 20%. Wheelchair users are VAT exempt. This vehicle is available to purchase privately or through the Motability Scheme for customers receiving the Higher Rate Mobility component of DLA or PIP. Citroen Berlingo Cruize Wheelchair Accessible Vehicle from McElmeel Mobility from McElmeel Mobility Services on Vimeo.